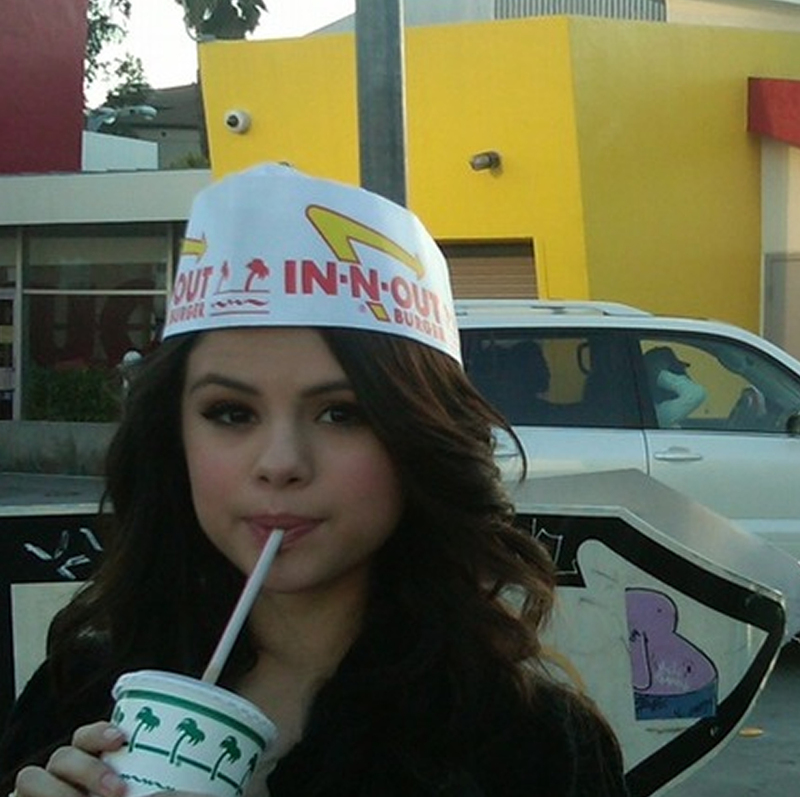 Chrissy Teigen did “Round 2! 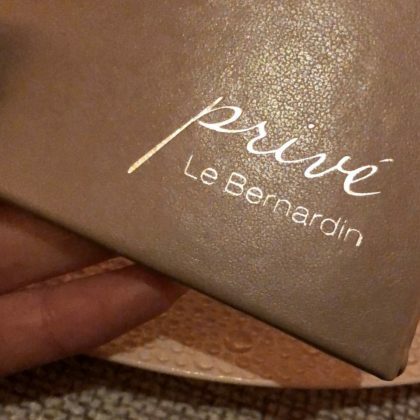 !” in October 2018 at New York City, NY, USA’s Le Bernardin Privé French restaurant. 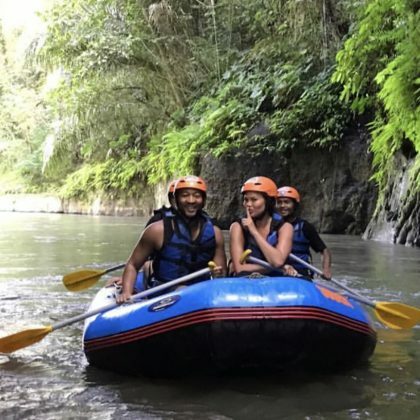 Chrissy Teigen and John Legend went rafting with Bali, Indonesia’s Sobektour operator in August 2018. 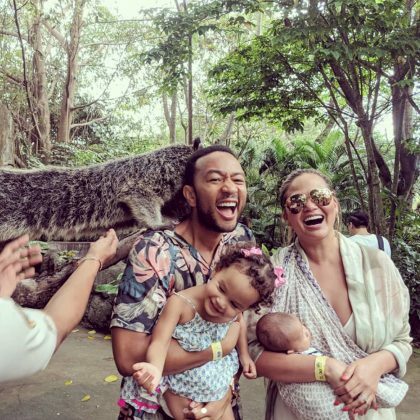 “Keep your paws to yourself!” is what John Legend jokingly captioned his picture with Chrissy Teigen, their two kids, and an overly-friendly critter that they encountered at Bali, Indonesia’s Bali Safari Park in August 2018. 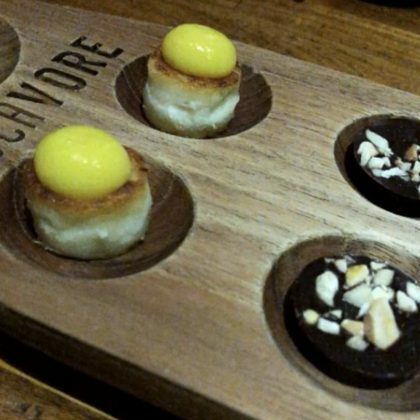 “For those wondering, we are at Locavore – Bali and it is beyond incedible” is what Chrissy Teigen said when she and John Legend ate here in August 2018. 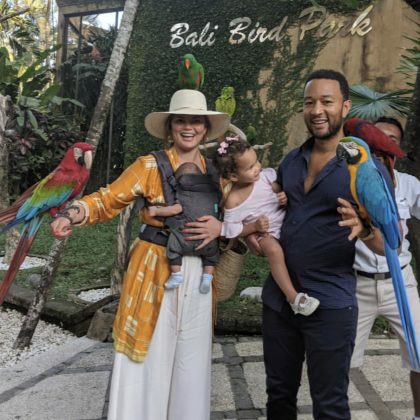 John Legend said, “The bird is the word,” when he and Chrissy Teigen took Luna Stephens and Mile Stephens to Bali, Indonesia’s Bali Bird Park in August 2018. 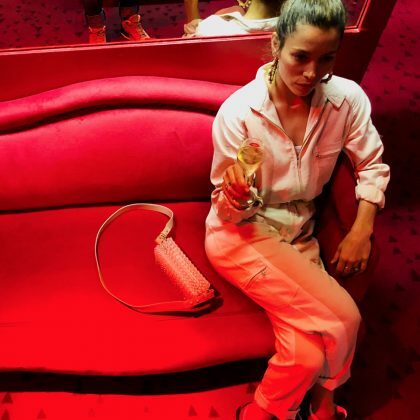 Jessica Biel sat with a glass of bubbly surrounded by the red decor of Paris, France’s Crazy Horse in July 2018 and joked, Picasso had a Blue Period and I’m clearly having a Summer of Red. This is a valid comparison because we are equally esteemed artists!